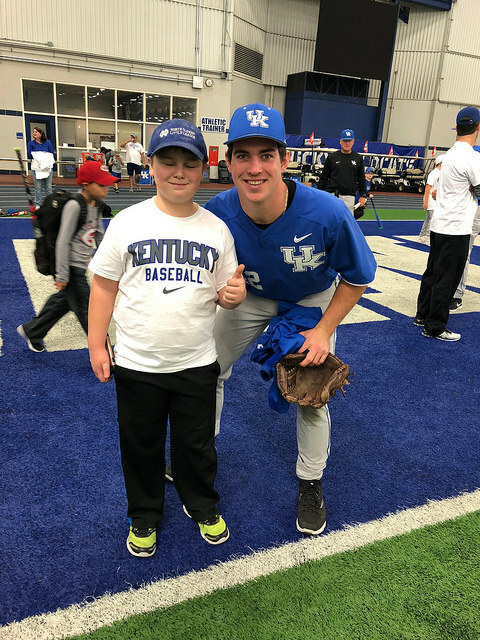 University of Kentucky/Nutter Field House-Lexington, KY: What a weekend this was, the first annual Father/Son Baseball Camp hosted by the Kentucky Wildcats baseball program. 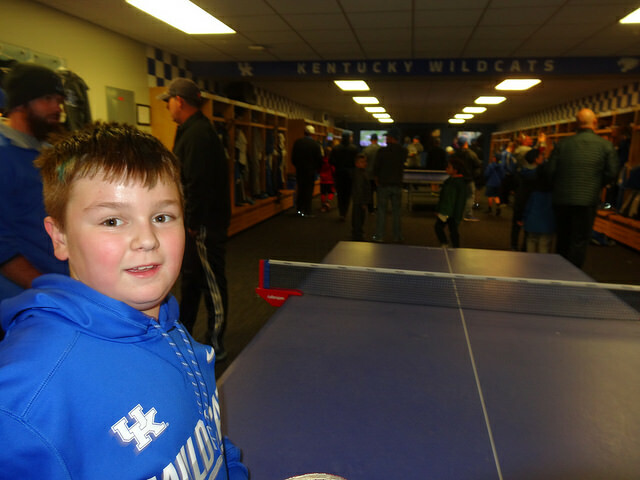 After a small nap Saturday morning, Brian and I made the trek to Lexington. Upon arriving on campus and heading into the Nutter Field House, we were greeted by Wilcats’ head coach Nick Mingione. He introduced himself, and let us know where to go to get checked in. 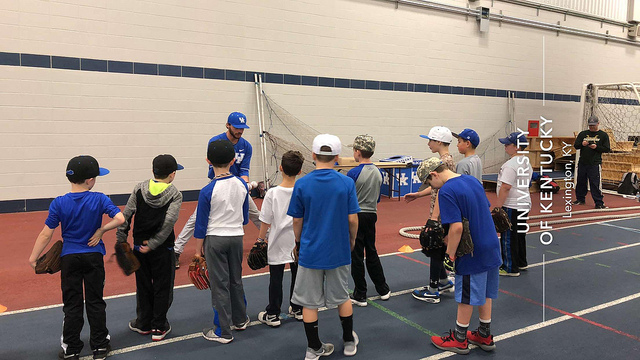 After getting all checked in and playing some catch, coach gave us all a quick run down on the weekend activities before we separated into our groups and got to work. We started out with some fielding, which went well, then onto throwing. 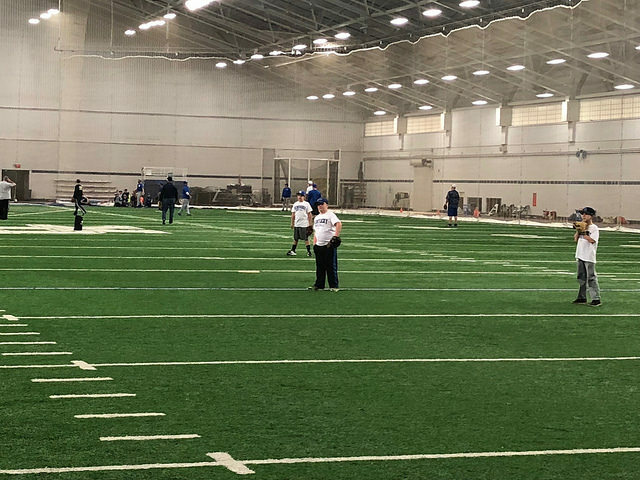 Brian has always had a bit of trouble with some throwing mechanics, but some of these drills really seemed to help him out. It’s fun to see the smile on his face when he does well. 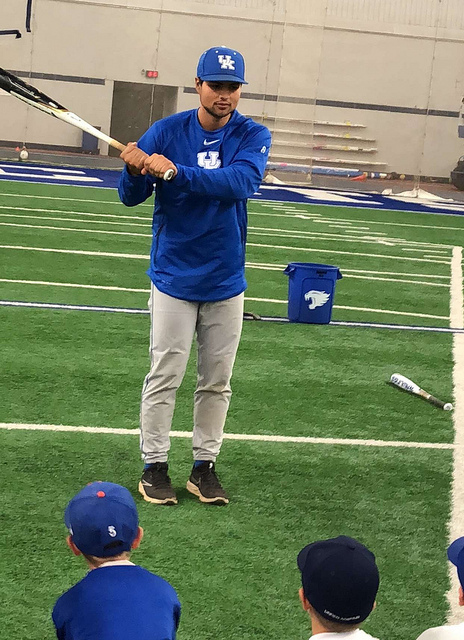 Same thing with the hitting drills, as Coach Fanning gave him some pointers and he was hitting off the tee really well. It was nice to get the camp off to a good start. After the first set of drills were completed, we broke for some pizza and rest. Pizza is always a hit with the kids. When our bellies were full, the fathers and sons were separated into groups. 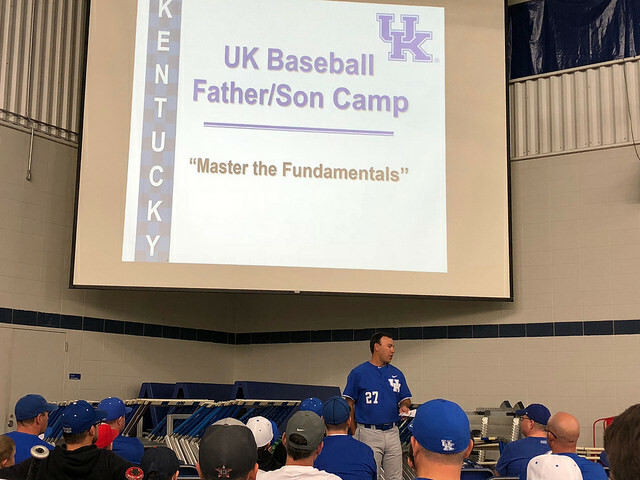 The coaches talked to us about the family atmosphere of the Kentucky baseball program, as well as the joys and struggles of raising baseball players. The kids were taken by the players and they wrote us ‘thank you’ letters that I look forward to receiving in the mail. 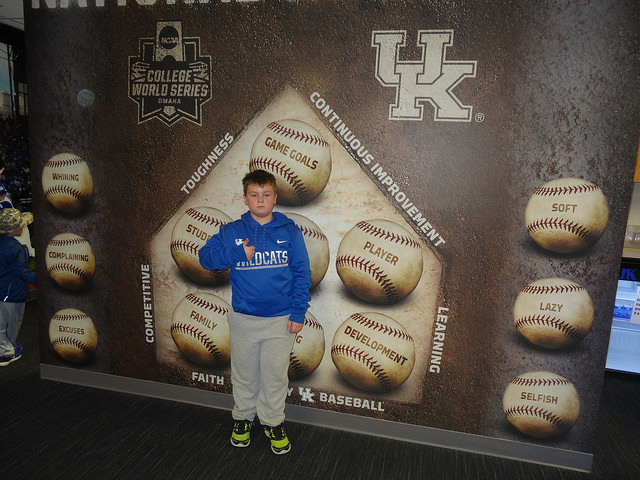 After a few more drills, we walked over to check out the Wildcats clubhouse. As you can imagine it was a very nice facility. When the tour was completed, we spread out our sleeping bags on the turf and tried to get some sleep. Tried being the key word. I was really tired and drifted off, but since Brian couldn’t sleep at first, he wasn’t about to let me get any shut-eye, either. We did finally get a little sleep, and woke up to a breakfast of sausage biscuits and donuts, which wasn’t all that bad. The team provided us with a church service right there in the field house, also, and I was pleasantly surprised to see that just about all of the families attended. Our group started the morning with a Fathers vs. Sons ballgame. This was a lot of fun, and it felt good to hit and play the field like I was a kid again, also. Brian hit the ball well and made some good plays, so he was happy. 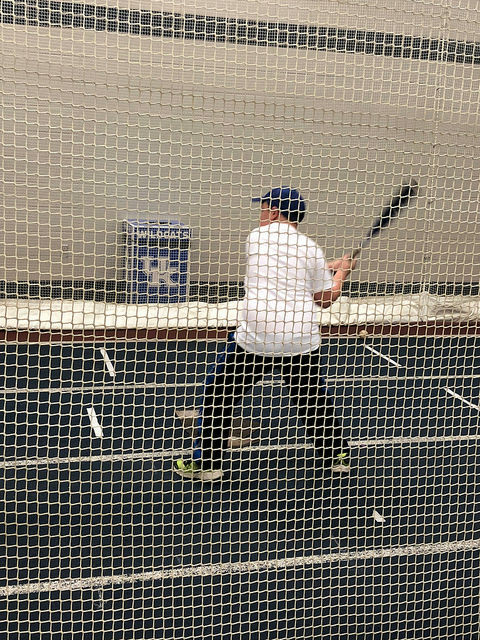 No one was keeping score, but I’m sure the Fathers plated a few more runs, at least that’s the story I’m sticking to… After some wall-ball and base running, we ended the day at the batting cages. Brian hit the ball well, and it was good to end the camp on a positive note. 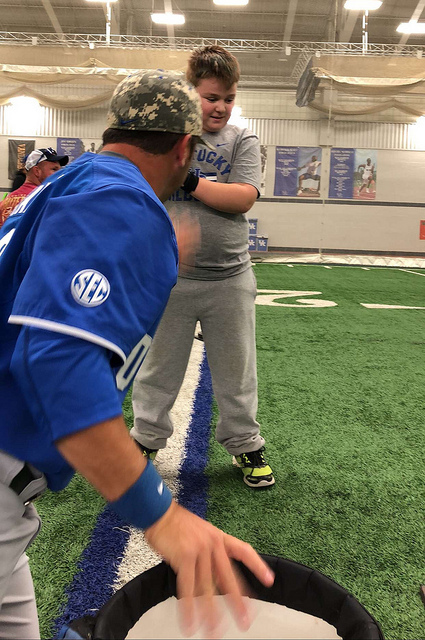 I’m very grateful to the University of Kentucky, and feel blessed that I could experience this weekend with Brian. He did have fun, and I hope he looks back on this experience one day as a positive one. 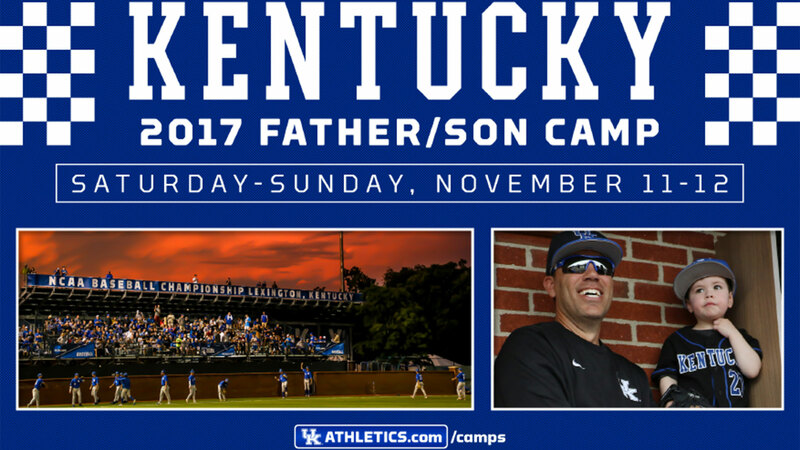 Camps like this just reinforce that our move to Kentucky was a good one. 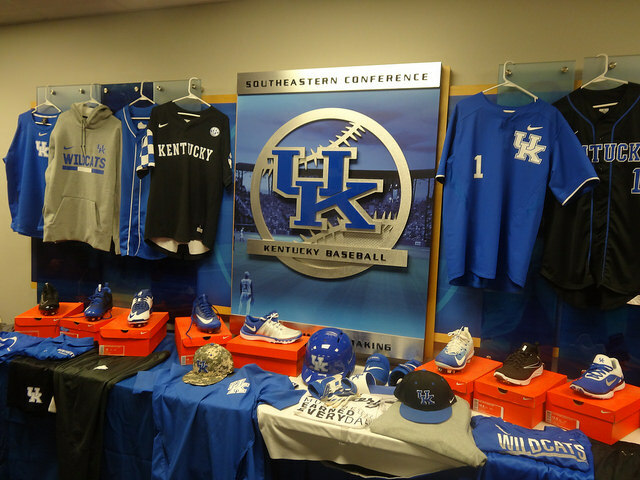 Also looking forward to seeing at game here this spring, as Coach Mingione seems to have something really special going on with this program.